Writing Lined Paper Personalized Boy "N"
Personalized Lined Writing Paper/Stationary for your little one(s)! 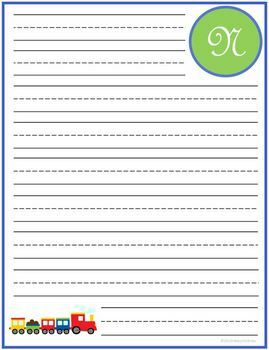 Help your little guys or gals feel special with their very own personalized lined stationary! ~I created this because once my kindergartener started improving his writing he began to enjoy writing letters to friends and family! We also use it to write thank-you notes after birthdays and Holidays! 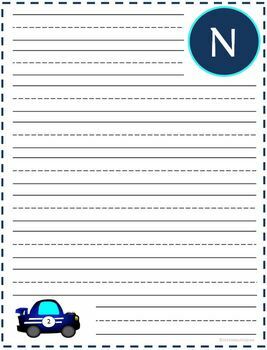 Also great for pen-pal writing and fun writing practice at home and in the classroom! Great to use with Pre-K and up! Each pack includes 6 different styles of paper!